How many social media buttons are on my home page? There are 8 buttons: Facebook, Google+, Youtube, Pinterest, Etsy (which isnot exactly social media), Instagram, Flickr and Twiter. What is my new professional name? 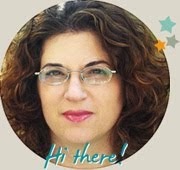 My new professional name is: Einat Kessler Creative Professional. When I thought on a new name I had lots of ideas but liked no one. A fellow designer Gen Goode suggested this name and it was a perfect fit! Thanks Gen. The first question is: How do I subscribe to your blog? What is your favorite product from the list of my favorite products? That was an easy question...all answers are correct! What is written on the blinkie in "spread the word"? 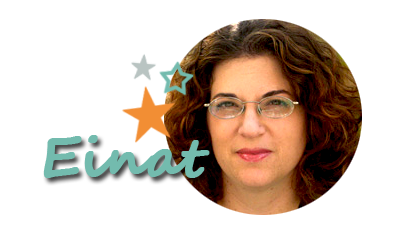 The blinkie reads: einat kessler Creative professional, Find your Inspiration. 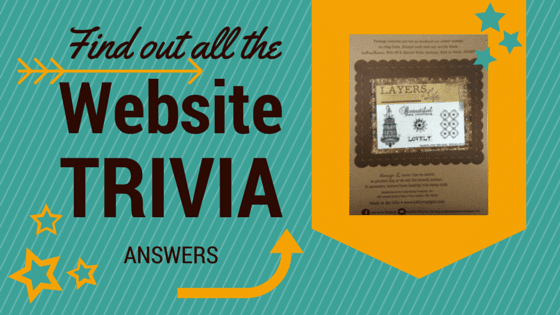 How many metal embellishments can you spot on the website's header? That was a trick question...I admit. there are 7 metal embellishments: 2 washers, 1 metal piece under the header and 2 staples on each side. What are the two major things we can do to save our money and still enjoy crafting? 1. Shop for crafting supplies in our own stash! 2. Find more affordable ways to buy supplies or get them IF we really need them! What are the signature colors of the new website? How many designers share tips are on the Frugal Crafting post? What is the name of my new Etsy shop?My new Etsy shop is called: Cogwheels & Curls. Which online class is coming soon? The winner who answered ALL questions correctly will win a Unity Stamp set and will be announced on May 3rd!